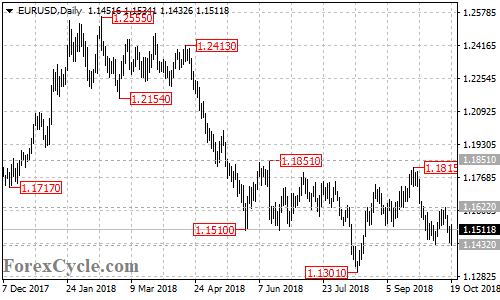 EURUSD is facing 1.1432 support and a breakdown below this level could trigger further downside movement towards the next support level at 1.1301. Below here would aim 1.1000. Near term resistance is at 1.1622, a break of this level could bring the price back towards 1.1851 key resistance. he price back towards 1.1851 key resistance.